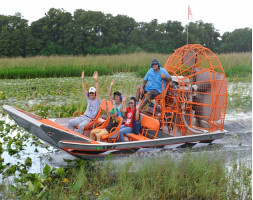 Orlando’s closest airboat ride company to the theme parks, the 32 acre Southport Park in Kissimmee has undergone a $1 million renovation that includes a native American village with live history presentations, gator pond, photo swamp shack, gem mining (at additional cost) and Boggy Bottom BBQ res..
With this great COMBO you can enjoy 2 half day attractions at one great price...saving up to 40% on the gate price! 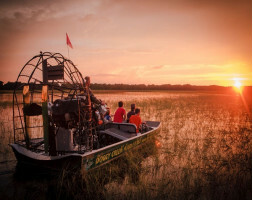 What better way to enjoy two attractions that showcase what makes Florida so iconic. 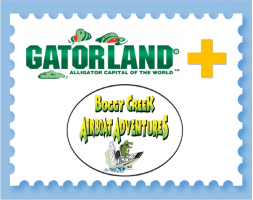 Get up close and personal with the famous Gators at Gatorland and then enjoy a blast across ..